JB Steel is one of the India's Leading Stockholder & Distributors of Bar & Wire. Tojo Techno Corporation is prominent manufacturer and supplier of Tie Bar in Pune. The offered Tie Bar is very much manufactured using quality guaranteed raw material and current systems. This Tie Bar is reckoned for its dimensional accuracy, easy fitting, zero maintenance, abrasion and corrosion resistance and seamless finish. Tie Bar Circuit Breaker Lockout comprising of different parts, Easy to operate with upper wheel part. Den Scoth tie bars to meet your specification. The tie bar is a key component for consistent and quality molding, as it maintains a parallel orientation of the platens. 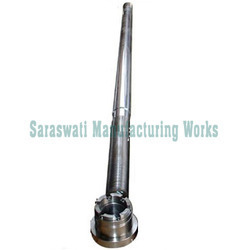 We have established ourselves as one of the premier manufacturers of a qualitative range of Tie Rods. 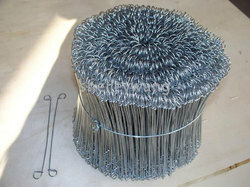 These are manufactured using the finest grade raw materials procured from the reliable sources in the market. Our range is greatly acclaimed by our clients for its characteristics features and they are in accordance with the various industry standards. We also stock Bar, Hexagon, Triangle Bar, Square, Round / Half Round products in various dimensions and grades.